Every time an app is made it is certain to see thousands of new installs but what really matters is how do installs translate to your retention rates and how many of these have become active, engaged and profitable customers of your app? A general research says that on an average only 25-40% of new customers tend to re-launch an app after the first week and ultimately this figure drops to 4% one year out. This means that among these retained customers, only a few continue to be active and engaged users of your app. Hence proved that the success of an app can’t be analyzed from downloads and installs. Now it’s really necessary to find out why customers are leaving your app do everything on your part to retain them. So here we bring the reasons which make your customers leave your app and ways to resolve the issues. 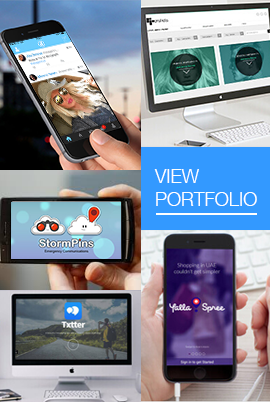 You can take the assistance of mobile app development company in this aspect. Most of the time the apps ends up presenting stale content to the audience which ultimately leads to loss of interest. When a customer visits an app daily, then s/he expects that you offer something new and original each time they open the app. This is why it’s necessary to offer the kind of content that will provide the most value and it can be a reward, a thank you, a new piece of content, a new level, etc. In all, you must put your customers at the center of this process to attain desired results. Every time the user comes across the onboarding process, it’s nothing less than a nightmare. Indeed there are a number of fields to fill out and most of the time, the app’s usability is perplexing with you being unaware that why you are taking certain actions. This often makes the customers leave the very moment and never return. This is why it’s best that you limit the amount of information you ask from the customers and ask only what’s necessary. So the shorter onboarding process will be less painful for your customers and the retention rate will be higher. It’s necessary to understand the reason that is making your customers leave however not many companies offer the customers with simple ways to leave feedback in your app. Now when you don’t offer the customers ways to leave feedback, then you will never know how they truly feel about your app. So, it is necessary that you give customers the ways to reach out to your business. This can be done in ways like: Customer surveys, in-app prompts, in-app messages that trigger when certain in-app events are hit, and asking the right customers for feedback at the right time, Social media, your app website or landing page. You must remember that your customers have a limited amount of time and resources, thus it is necessary that you often lure them by offering rewards for spending precious amount of time and interest on your app. Rewards and loyalty points are the quick way to say “thank you” to your most active and engaged customers. So, you need to ask yourself the questions like whether you re rewarding your customers and what are the actions most valuable and indicators of loyalty as well as what do customers find valuable in your app. The best way is to put yourself in the customers’ shoes and then select rewards that will allure them. Your customer base consists of diverse groups of people, in terms of demographics, interests, locations, etc. However, the engagement strategy for a one group will differ from the other and thus you must understand what drives each audience segment in order to enhance interaction with your app. So, it’s needed to look at your customer life cycle stages and consider what similar traits make up the people in each category. You need to map customer journeys for each group to understand the best way to engage them with your app. As it comes to notifications, you must keep in mind the concept of right place, right time and right person. Timely, collect customer feedback and your timing of notification must be apt so that the response is positive. Setting up notification triggers can be the best way and also look how customers engage with your apps. You can also update the content in the notification to be more helpful. 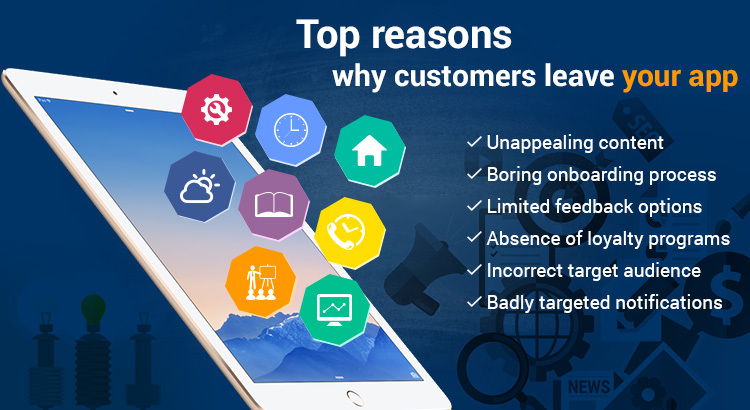 Conclusion: These are the imperative reasons why customers leave your app, but then there is also ways to retain them wisely and decrease customer churn. Implement these ways to boost retention. Hi my name is Sandra and I just wanted to drop you a quick note here instead of calling you. I discovered your Are you concerned about customers leaving your application? – Octal Info Solution UK page and noticed you could have a lot more traffic. I have found that the key to running a successful website is making sure the visitors you are getting are interested in your subject matter. There is a company that you can get targeted visitors from and they let you try their service for free for 7 days. I managed to get over 300 targeted visitors to day to my site.